My stainless steel WC Lathe Werks shift knob combined with the hot California sun add up to create a molten ball of pain when left baking outside. I love the weight, look, and feel of my metal shift knob but its biggest downside is that it gets too hot to the touch if I park in the sun. 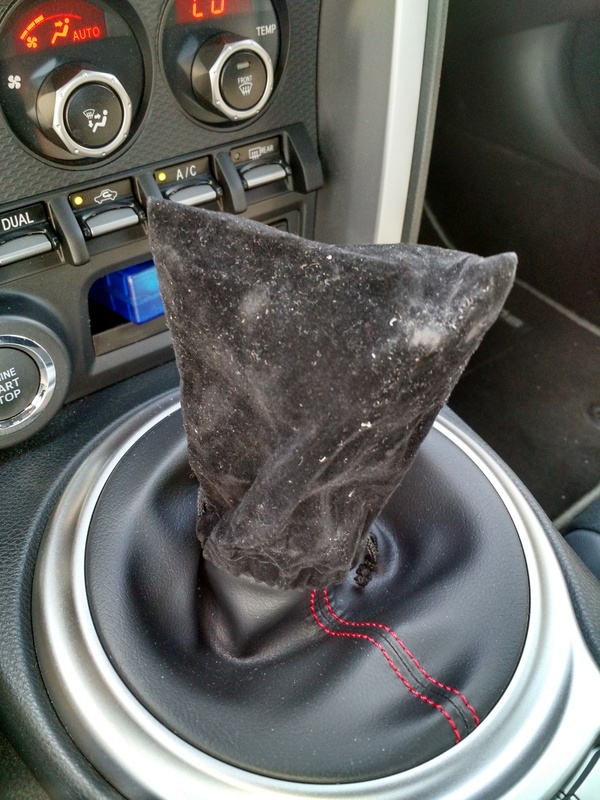 The knob did come in a black bag, which I used to cover it up, but it made my shifter look like an ISIS hostage. I didn’t want to get another shift knob or go back to the stock one so I began looking for shift knob covers. That lead me to Etsy, where I found Rachel Quach’s store, QuachoNacho. She has a small selection of crocheted goods, including this Pokémon shift knob cover. The inner nerd in me squealed with delight as soon as I saw it. It was perfect and very reasonably priced. Plus she’s local to the Bay Area (San Jose). I ordered the classic red and white version, but you can choose from other colors. You can even make special requests by contacting Rachel directly. After I submitted my order, Rachel sent over pictures of the knob cover for approval. Once I approved of the design, it was shipped out and arrived at my door with a handwritten note several days later. Fitment is just about perfect. It’s made of yarn so it’s a bit snug at first but will loosen up over time. She recommends washing the knob cozy by hand and laying it out to dry. I don’t think I’ll get it dirty enough to need washing but it’s good to know it’ll last. I used it for a couple of days now and it’s perfect. My shift knob doesn’t burn my hand after sitting in the sun any more. It still gets warm but not hot. I only use it when I’m parked, since it’s moves around on the knob. Check out Rachel’s Etsy store for some cute crocheted dolls and click here to buy the Pokéball shift knob cover.